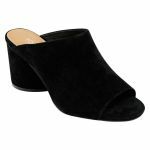 Camdyn by Top End is a luscious suede block heel mule. This block heel mule is definitely one to wear on a night out or a formal day event. 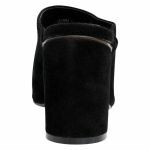 The insole padding and elongated block heel makes this an easy mule to walk and stand in. 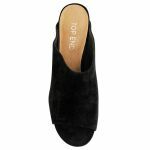 The soft suede will mould to the shape of your foot easily giving you that 'slipper' feeling all day long!